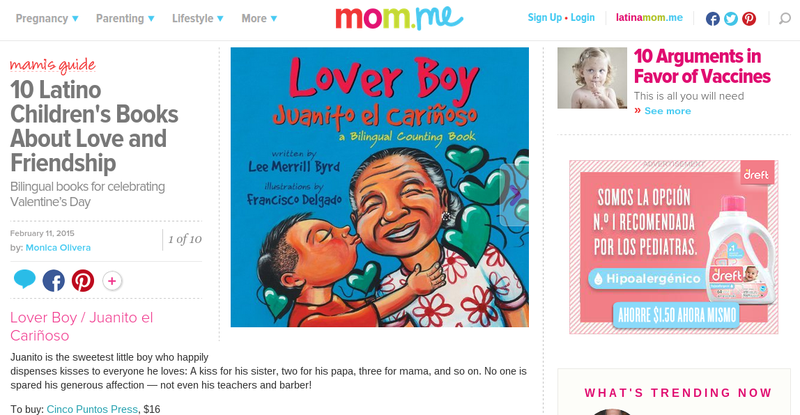 I'm over at Latinamom.me this week sharing my favorite reads in Latino children's literature for celebrating love and friendship. You might recognize some of the titles I've chosen, such as Juanito el cariñoso. They are all such great reads, but I'm very disappointed that so many of them are no longer in print. Fortunately for us, most are available from smaller, independent publishers, and the out-of-print books are still available through Amazon under "used and new." I wonder if your list would be the same as mine? Did I forget any awesome titles? Take a look at my 10 favorite books here.